Mellanox Mellanox Technologies Ethernet and InfiniBand interconnect solutions and services for servers, storage, and hyper-converged infrastructure. Mellanox interconnect solutions increase data center efficiency by providing the highest throughput and lowest latency, delivering data faster to applications and unlocking system performance capability. 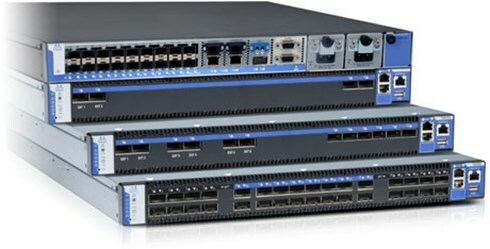 Mellanox offers a choice of fast interconnect products: adapters, switches, cables, software and silicon that accelerate application runtime and maximize business results for a wide range of markets including high performance computing, enterprise data centers, Web 2.0, cloud, storage and financial services. The demand for more computing power, efficiency and scalability is constantly accelerating in the HPC, enterprise, cloud computing and Web 2.0 markets. To address these demands Mellanox provides complete end-to-end solutions (silicon, adapter cards, switch systems, cables and software) supporting InfiniBand and Ethernet networking technologies. Mellanox's InfiniBand and Ethernet technology can take your specific solution to the next level of performance, power and cost. Please contact us for a fast custom quotation. The SN2410 switch provides the highest performance 100GbE top of rack switching solution for the growing demands of today’s data centers environments. 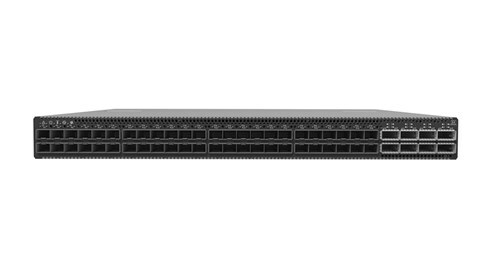 The SN2410 switch is an ideal top of rack (ToR) solution, allowing maximum flexibility, with port speeds spanning from 10Gb/s to 100 Gb/s per port. Its optimized port configuration enables high-speed rack connectivity to any server at 10GbE or 25GbE speeds. The 100GbE uplink ports allow a variety of blocking ratios that suit any application requirement. Powered by the Spectrum ASIC and packed with 8 ports running at 100GbE and 48 ports running at 25GbE, the SN2410 carries a whopping switching capacity of 4Tb/s with a landmark 2.97Bpps processing capacity in a compact 1RU form factor. The SN2100 switch provides a high density, side-by-side 100GbE switching solution which scales up to 64 25GbE ports in 1RU for the growing demands of today’s database, storage, data centers environments. Unsure what you need? Have technical questions? Contact us. Mellanox leads the industry by being the first to offer 10Gb/s, 20Gb/s, 40Gb/s, 56Gb/s, and 100Gb/s InfiniBand adapters and high-bandwidth. Perfect for energy-efficient LOM designs, Mellanox's ConnectX-4, 6th generation adapter, leads the market in latency and bandwidth performance. 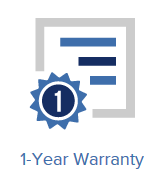 All new hardware purchases carry a one-year limited hardware warranty. Service contacts, training, and additional upgrades are available for purchase. Mellanox adapter cards are designed to drive the full performance of high-speed InfiniBand and 10/40/56/100 Gigabit Ethernet fabrics. 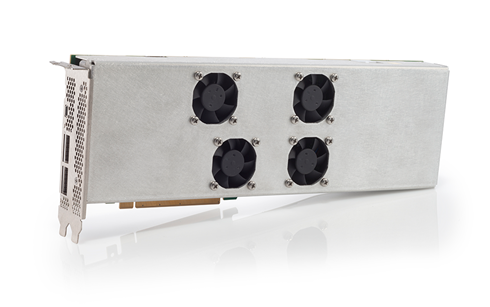 Mellanox's ConnectX-4, 6th generation InfiniBand adapter card, leads the market in performance, throughput, and lowest latency. Mellanox's ConnectX-4 EN Ethernet Network Interface Cards (NIC) deliver high-bandwidth and industry leading 10/40/56/100GbE connectivity with stateless offloads. ConnectX adapter cards with Virtual Protocol Interconnect (VPI) provide the highest performing and most flexible interconnect solution for Enterprise Data Centers, High-PerformanceComputing, and Embedded environments. Mellanox's performance leading switch silicon ICs enable OEMs to build the highest performing server and storage system interconnect solution for Enterprise Data Centers, Web 2.0, Cloud Computing, High-Performance Computing, and embedded environments. With reduced power, footprint and fully integrated PHY capabilities, Mellanox's switch silicon ICs provide network architects critical feature-sets to enable fabric-flexible server and storage systems to meet the increasing performance demands of their customers. 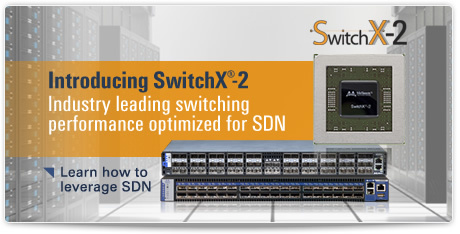 SwitchX, the fifth generation switching IC from Mellanox, further improves the company's tradition of leading bandwidth, low-latency, and scalability by integrating Virtual Protocol Interconnect (VPI) technology - allowing EDR 100Gb/s InfiniBand and 10/40/56/100Gb/s Ethernet traffic to exist on a single 'one-wire' fabric. SwitchX, the fifth generation switching IC from Mellanox, further improves the company's tradition of leading bandwidth, low-latency, and scalability by integrating Ethernet and Fibre Channel traffic on a single 'one-wire' fabric. The industry leading integration of 144 PHYs which are flexible enough to run 1 Gigabit to 10 Gigabit speeds per lane, makes SwitchX an obvious choice for OEMs that must address end-user requirements for faster and more robust applications. Mellanox's series of gateway systems provided data centers with the ability to deploy I/O consolidation solutions using InfiniBand or Ethernet as the convergence fabric of choice. Mellanox gateway systems enables data centers to operate in high-performance 40Gb/s network speed on the hosts, while at the same time, connect to lower speed Gigabit and 10GbE LAN networks and 2, 4, 8Gb/s Fibre Channel SAN networks, providing I/O consolidation. 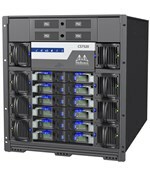 Mellanox's family of long-haul systems delivers the highest performance and port density with a complete chassis and fabric management solution to enable compute clusters and converged data centers to operate at any scale and any distances. Mellanox's MetroX solutions enable connections between data centers deployed across multiple geographically distributed sites, extending Mellanox world-leading interconnect benefits beyond local data centers and storage clusters. 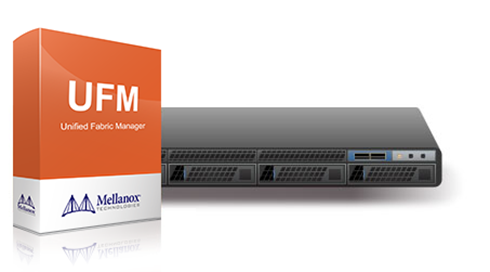 Mellanox's comprehensive suite of management software provides an innovative application-centric approach to bridge the gap between servers, applications and fabric elements. Mellanox's Management Software's revolutionary fabric model allows users to manage fabrics as a set of business related entities such as time critical applications or services, and enables fabric monitoring and performance optimization on the application-logical level rather than just at the individual port or device level. 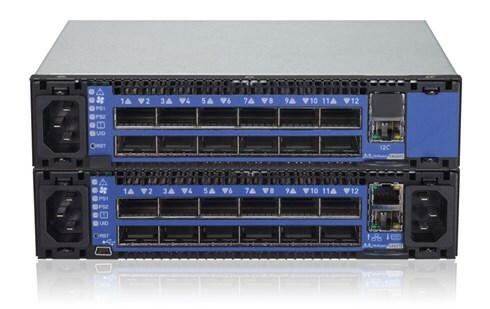 Mellanox provides a unique family of application accelerator products that together with its scale-out InfiniBand and 10GbE switches provide the highest performing solutions in the market. Mellanox's application accelerator software solutions reduce latency, increase throughput, and offload CPU cycles, enhancing the performance of applications while eliminating the need for large investments in hardware infrastructure. The SwitchX Software Development Kit (SDK) based on Mellanox's sixth generation switch silicon, SwitchX-2, allows switch and server OEMs to bring to market cost-effective solutions allowing LAN, SAN and IPC traffic to co-exist across a single fabric. Mellanox's interconnect are a cost-effective solution for connecting high bandwidth fabrics, extending the benefits of Mellanox’s high-performance InfiniBand and 10/40/56/100 Gigabit Ethernet adapters throughout the network. In addition to meeting or exceeding IBTA and IEEE standards, Mellanox Certified cables are 100% tested on Mellanox equipment to ensure optimal signal integrity and the best end-to-end performance. With Mellanox interconnect you will experience trouble-free installation and long-term operation. Mellanox heat sinks are part and parcel of Mellanox's end-to-end solutions that have been successfully deployed in thousands of Data Center and HPC applications across the globe. Mellanox offers heat sinks that are especially designed for its adapter and switch silicon devices in order to guarantee the best thermal performance and product longevity. Mellanox M-1 Global Support Services plans are created to provide our customers with the optimal experience with Mellanox equipment. The M-1 Global Support Services plans encompass a variety of support choices to suite every need and level of user expertise. Three different pre-defined service levels are offered: Bronze, Silver and Gold. The Silver and Gold service plans can be further augmented with a Professional Services plan which allows customers to leverage advanced Mellanox cluster services on-site.